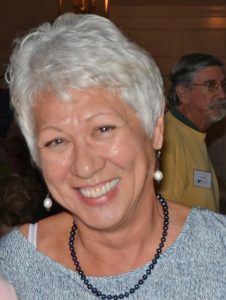 OFFICERS AND DIRECTORS - Skidaway Island Boating Club, "SIBC"
Paulette has been integral to club activities from the outset in 2015. In 2016 she joined the Board officially as Secretary and in 2017 she was elected as a Director at Large. Her hand is somewhere in every activity and effort be it social, membership or planning! Besides dedicating a significant amount of time to SIBC, Paulette finds time to fish and power boat both here and abroad. You will find pictures of her fishing and even her recipes at On the Water, Members Fishing! Susie Fusco is a native of Connecticut, residing near Long Island Sound and boating those waters in a 22 ft Chris Craft cuddy cabin. For those who know the Sound, it is filled with gunkholes, lots of little islands and out of the way places to party or spend a quiet day, and is a short cruise to Newport, Block Island, Sag Harbor and more. Fitting her role as within SIBC, her career was in the adult beverage industry as Regional Manager for Seagrams. Susie first came to Skidaway Island 12 years ago to visit her sister, and to quote her directly, the “rest is history”. Suzie’s energy is already reflected in the energy she brings to SIBC social events. She is also an active member of the Carefree Boat Club. Lee has been a boater for 60 years and a boat owner for over 48 years. 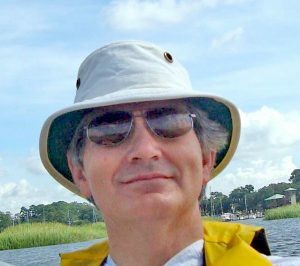 He is the first elected Commodore of Skidaway Island Boating Club beginning January, 2016. Lee took over steerage duties in mid-2015 . 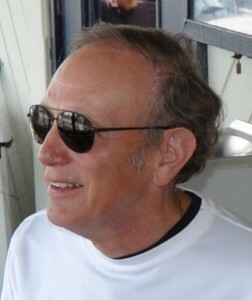 Lee has an incredible boating background and leadership resume including memberships in The Royal Hong Kong Yacht Club, serving as House Committee Social Chairman, Changhi Sailing Club (Singapore), Manila Yacht Club, serving on the Race Committee, the Miles River Yacht Club (MD), and the Sandy Hook Yacht Club, (NJ) and others. Professionally, Lee has been CEO of a container shipping company and of a container terminal in Hong Kong. He has been integral to the formation of the club as our second Founding Director and our first elected Commodore. Professionally, Paul has served in leadership positions in finance and as owner of a manufacturing company with operations in the United States and Asia. Paul’s boating career began after moving to The Landings in 2009. He is a co-founder of SIBC and an active member in the local Landings Sailing Club, even to representing The Landings Sailing Club in national Rhodes 19 competitions. Although he started out at The Landings owning a power boat, he shortly recognized his passion was sailing. The power boat was traded for sailboats; plural. His personal fleet includes a partnership in a J-22 and a J-24 for racing in local events and regattas, as well as his personal sailboat, a J-100, for sailing other days of the week. Paul was instrumental in developing and coordinating the first annual Low Country Hook Ocean Race of 2016. Mark Winters and his wife Belinda moved to the Landings because of the beauty of our waterfront community where he began sailing. Currently he is Fleet Captain of The Landings Sailing Fleet in addition to serving on the SIBC Board of Directors and on The Landings Association Marina Committee. As principal of South Effingham High School, Mark’s daily activities are anchored in education and in learning. 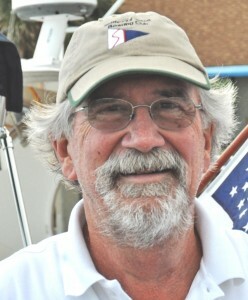 He envisions his combined passion for recreation on the water and learning as the means for expanding sailing and boating opportunities on Skidaway Island. 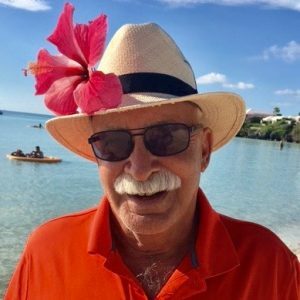 Dave grew up sailing in Narragansett Bay, has 70+ years of cruising, racing and yacht delivery experience, is a USCG Master Mariner and together with Dee and their four daughters has sailed and raced extensively on the East Coast, in the Caribbean, and the Mediterranean. While they no longer own a boat they are still active by bare-boat chartering in the Bahamas and Caribbean. Dave and his wife Dee have lived on Skidaway since 2003. They actually bought their house here while staying at Delegal Marina on their 47’ sailboat on their annual cruise from CT to the Bahamas. He is an active member of the Landings Sailing Fleet and has been on the TLA Marinas Committee since 2005. He recently retired as Assistant Fire Chief of Skidaway Island. Dave and Dee were both officers at the Saugatuck Harbor YC in CT and were members of both the Royal Marsh Harbor YC and the original Skidaway Island YC. They are proud to be members of the new and enthusiastic SIBC and look forward to the camaraderie and opportunities that this club can provide.